Officially, slavery is prohibited under the Belarusian Criminal Code (Article 181-1 of the Criminal Code – the “Use of slave labor”). The Belarusian Constitution guarantees a fair share of remuneration for the economic results of citizens’ work in accordance with its quantity, quality and social value (Article 42). Nevertheless, the Belarusian government makes extensive use of slave labor of various social groups in public enterprises. Most often it is the slave labor of prisoners and alcohol-addicted people who are placed in the semblance of prisons that are called CRC (Compulsory Rehabilitation Centres). The use of slave labor is not limited to these groups. It is difficult to estimate the number of slaves in Belarus for the moment. According to our approximate estimates, the number of state slaves is around 38,000–40,000 people. If we refer to the “Global Slavery Index”, Belarus is ranked the twentieth among 167 countries in their anti-rating list, according to this study, 103,000 Belarusians are kept in slavery, however, the study does not specify, whether it is state slavery or criminal networks’ slavery. There are slaves in Russia as well. However, there is a fundamental difference between Russian and Belarusian slavery: in Russia slavery always has non-systematic nature, slave labor is used by criminal gangs under the cover of corrupt security agencies or officials. In Belarus, slavery is systematic, slave labor is used by the government, which is condoned by existing laws and practices. Belarusian slaves are state slaves. The revenues of public enterprises coming from the use of slave labor officially go into the Belarusian state budget. 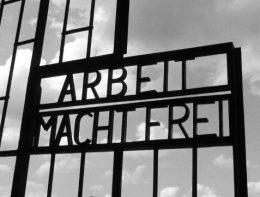 Actually, the scheme of getting into slavery is very simple: the state takes over a Belarusian citizen (sometimes even from the age of 14) to slavery for a long period of time (sometimes up to 25 years), most often for minor misconduct or illness (for example, alcoholism or drug addiction), where (young) people must work for bad food and for fear of becoming subject to any form of maltreatment and torture if they are not forced to work. Belarusian slaves work practically free of charge (see below). Products made by the hands of Belarusian slaves are extensively exported to various countries, including the Western countries. At the moment, Belarusian products made by the hands of state slaves are exported to 21 countries of the world, including the UK, Germany, France, and Belgium (according to the information provided by the website of the Penal Correction Department). 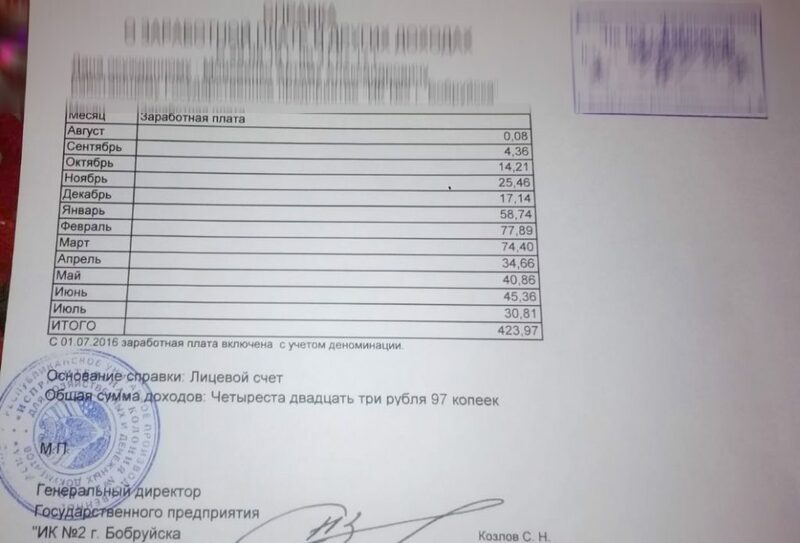 The Belarusian government’s earnings on slaves are impressive: for comparison, in 2018 Belarusian state-owned enterprises that use slave labor paid 1.5 times more (!!!) taxes to the Belarusian State budget than enterprises registered under the Ministry of Industry of Belarus. The Belarusian state is extensively promoting products made by Belarusian slaves at prestigious international exhibitions. For example, the largest international exhibition “Meble Polska 2019” was held in Poznan (Poland) on March 12-15, 2019, it is known as one of the largest furniture industry exhibitions in Central and Eastern Europe. The wholesale distributors of furniture from more than 50 countries of the world visit this exhibition annually. Could seem like just another business enterprise, unless there is something to be worried about. Belarus demonstrated at this exhibition furniture made from solid wood, as well as a wide range of forged products, made by the hands of Belarusian state slaves. The “slave products” were presented by the delegation of the Penal Correction Department of the Ministry of Internal Affairs of the Republic of Belarus, headed by the Oleg Lashchinovsky – the Deputy Chief and head of the organization of production and employment of inmates. 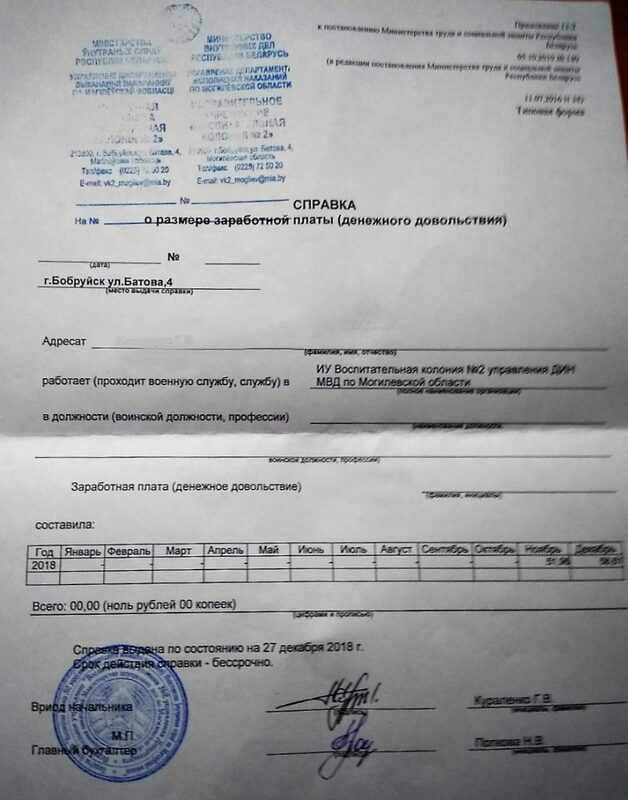 “Employment of inmates” – is veiled so and the Belarusian authorities elegantly call this way the state-owned firms under the roof of the Penal Correction Department of the Ministry of Internal Affairs of the Republic of Belarus that use slave labor. By the way, there are a lot of them: 14 state-owned enterprises, 3 branches, 10 extra-budgetary workshops, and 44 industrial enterprises of Belarus produce their products using components of slave-made products. But the Penal Correction Department was not confined to the presentation of only “slave-made” products at an exhibition in Poland. Before the exhibition, the company UTAL Sp. z o.o.”, the company “LECH”, the limited liability company “Streamled Sp. z o.o.” and the company” ZAKLADY MASZYNOWE HAMECH Sp. z o.o.” were visited and, at the moment, they are in the process of trying to reach agreements with the Polish Railway. 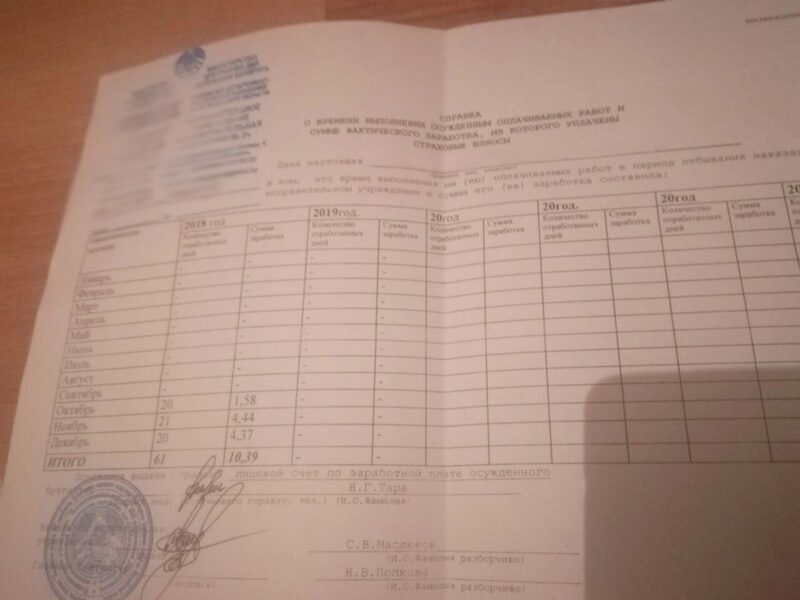 Here are the examples of typical Belarusian prisoners’ salary sheets, who have made the furniture, as well as many other industrial products, that were presented at the exhibition in Poznan. All payslips are provided either by relatives of the prisoners or personally by prisoners themselves. 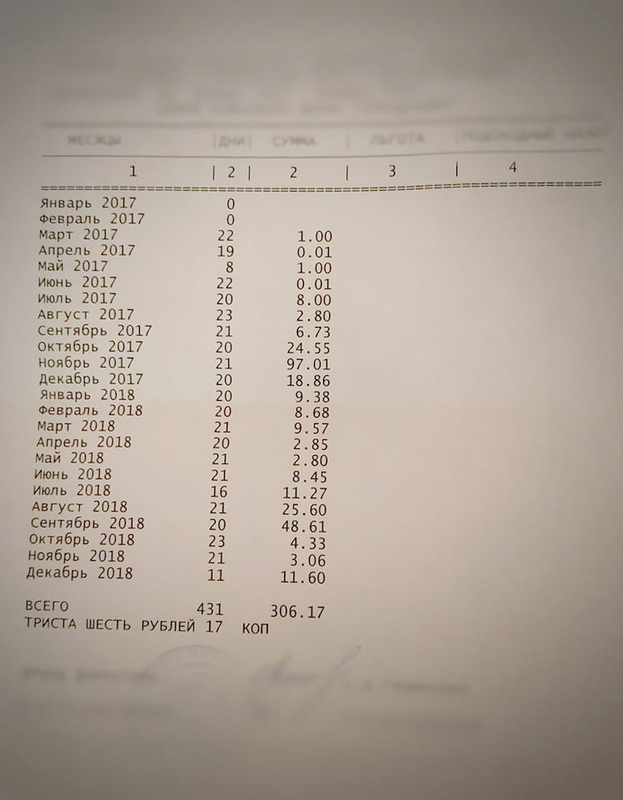 Payslips are provided from various colonies across Belarus and are standard. 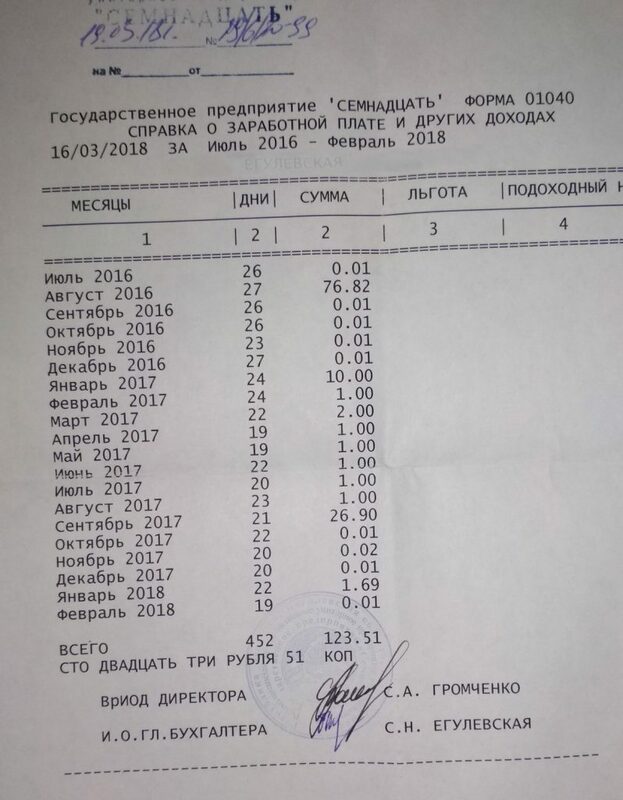 For the record: in Belarus, the average wage of a free person for March 2019 officially amounts to 408 euros. A convicted person No 1. The wages earned in a year (from 01.12.2017 to 30.11.2018) was 25.49 Belarusian rubles (here and after rubles), which amounts to 10.60 euros per year or 0.88 euros per month. A convicted person No 2. 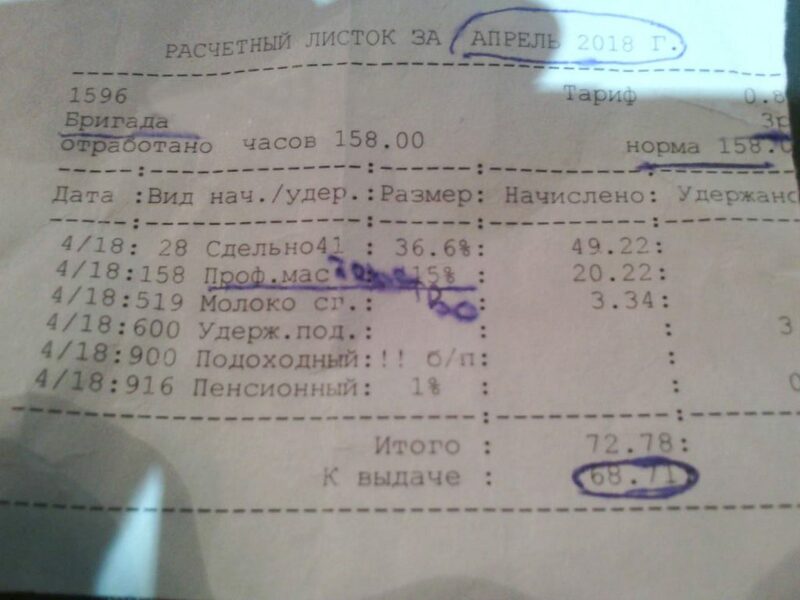 The wages earned in 19 months (from July 01, 2016 to February 28, 2018) was 123.51 rubles, which amounts to 51.35 euros or 2.7 euros per month. A convicted person No 3. The wages earned in 5 months (from 01.02.2017 to 30.06.2017) was 3.06 rubles, which amounts to 1.27 euros or 0.25 euros per month. A convicted person No 4. 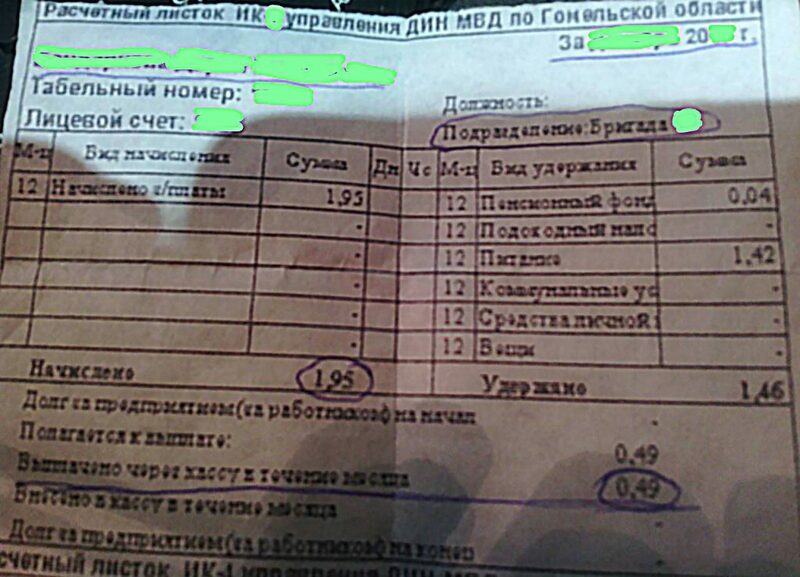 Monthly salary was 1.95 rubles, which amounts to 0.81 euros. A convicted person No 5. The wages earned in almost four months of work (158 working hours) amounted to 72.78 rubles, which amounts to 30.26 euros or 7.56 euros per month. A convicted person No 6. The wages earned in a year was 109.97 rubles, which amounts to 45.72 euros or 3.81 euros per month. A convicted person No 7. The wages earned in a year (from August 1, 2016 to July 31, 2017) was 423.97 rubles, which amounts to 176.28 euros or 14.69 euros per month. A convicted person No 8. 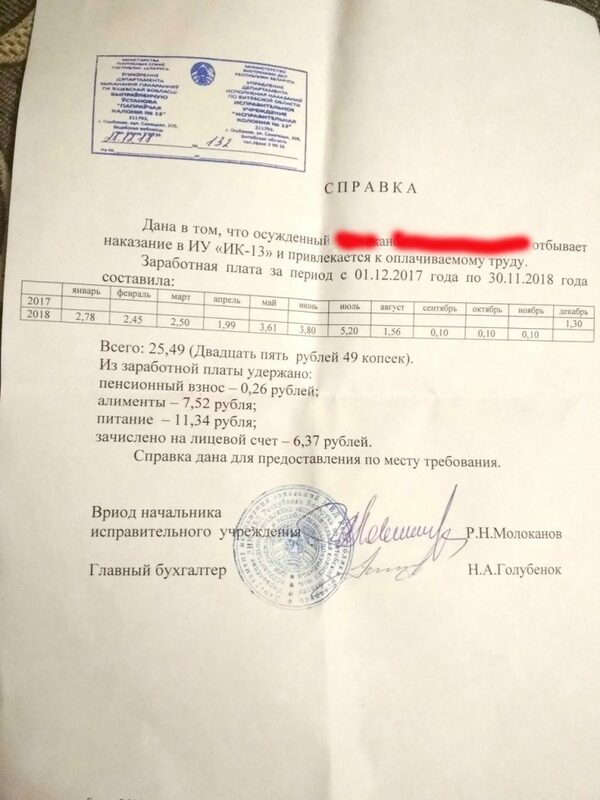 The wages earned in two years (from 01.01.2017 to 12.31.2018) was 306.17 rubles, which amounts to 127.30 euros or 5.3 euros per month. A convicted person No 9. The wages earned in a year was 10.69 rubles, which amounts to 4.44 euros or 0.37 euros per month. A convicted person No 10. 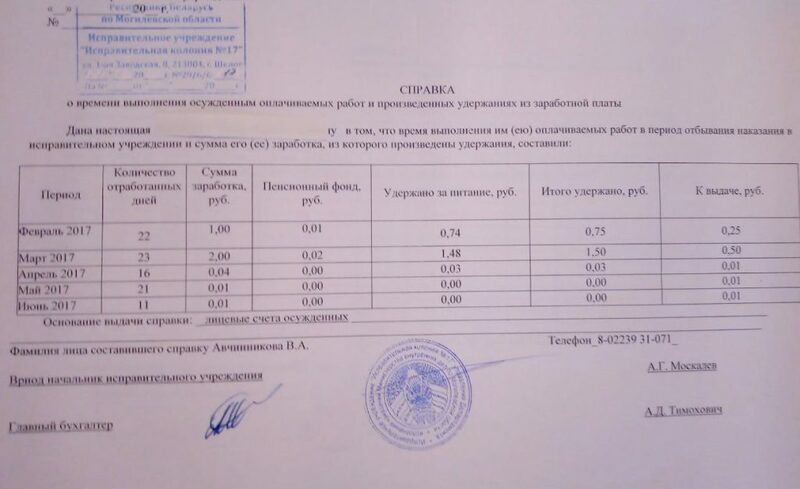 The wages earned in two months was 1.39 rubles, which amounts to 58 euro cents in total or 0.29 euros per month. We ask to stop the supply of products made by the hands of Belarusian slaves to the international market. The Slavery in Belarus must cease! Belarusian citizens should be owners in our overall house - Belarus. © 2002-2019 International Centre for Civil Initiatives "Our House"